Become part of the Foundation Family and part of our future with our vision being to "enhance the health and well being of our community". By donating to the Foundation you will be improving the quality of health care provision for people in the Wide Bay and North Burnett. In July 2014 moved on-site to Bundaberg Hospital thanks to support of the Wide Bay Hospital and Health Service District. The house is located at 277 Bourbong Street. 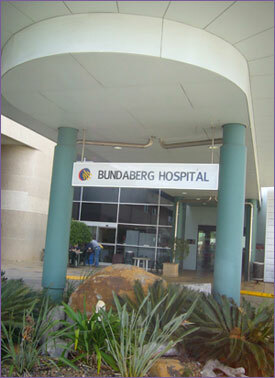 The Bundaberg Health Services Foundation is the fundraising arm of the Bundaberg Hospital. We are a non-profit community organisation that raises funds for local people and local health projects. Our mission is to make a difference and improve the comfort of patients at Bundaberg Hospital while complementing the dedication provided by the medical professionals. You don’t have to be a doctor or nurse to play a role in helping to save lives. By donating to the Foundation, you can be part of a unique team …. Local People Helping Local Patients. You can also volunteer your time to help.